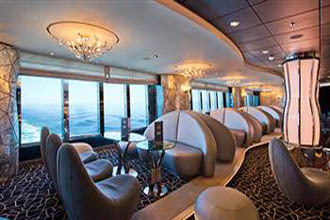 Combining the elegance and glamour of the golden age of ocean travel with ultra-modern features, the gorgeous 139,072-ton, 3,502-guest MSC Divina caters to all age groups. 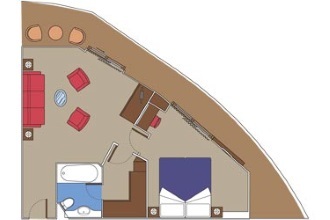 The stunning Fantasy Class ship is perfect for families, a couple's romantic getaway or a fun-filled cruise with friends. Christened by Sophia Loren, you can even stay in the legendary movie star's suite. Attention to detail and elegant touches are found everywhere, such as the exquisite Atrium staircases of glittering Swarovski crystals that look like sparkling diamonds. Impressive amenities include seven fabulous restaurants, 18 ultra-chic bars and lounges, five swimming pools — including one that just for adults, a two-lane bowling alley at the popular sports bar, a fabulous spa and state-of-the-art fitness center. 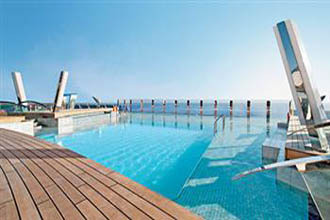 Let your cares melt away at the adults-only Zen relaxation area that features an infinity pool at the "beach zone." Luxurious and secluded, this private area also boasts an opulent Concierge reception lobby, a sundeck with two whirlpools, a small pool, plus a private club-like bar. 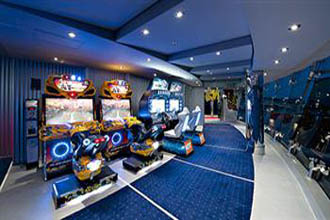 The family-friendly ship has an area designed for kids with lots of games and youth programs to keep them happy, while teen-only areas include a lounge, an arcade and more. Indulge in the many Balinese-inspired treatments at the spa that will delight you and feel the calm of the infinity pool, complete with a retractable dome. Fun times are offered at the huge water park with 150 fountains and water jets. 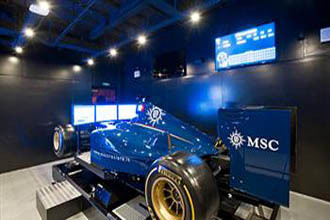 Live out your fantasy of driving a Formula racecar at the simulator and burn off some calories at the state-of-the-art fitness center. 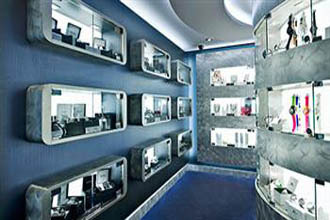 Various shops include duty-free items and high-end perfumes. 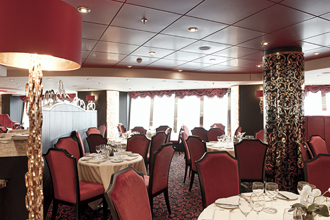 Stunning main dining rooms (one spanning two levels), serve mouthwatering Italian dishes, including homemade pastas and enticing international cuisine. Kid-friendly selections are sure to have everything they like. 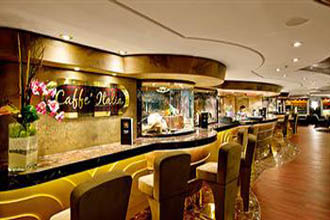 An Italian specialty restaurant lets you savor authentic gourmet dishes representing different regions of Italy. 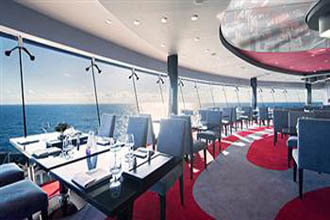 Fine dining is also offered at the disco, boasting an à la carte menu of Italian Fusion cuisine for just 55 fortunate guests. 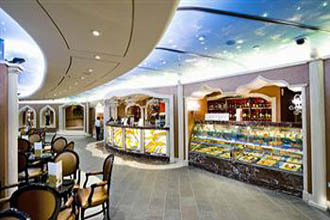 Buffet-style meals are offered at a casual venue and a pizzeria will make everyone in the family happy. 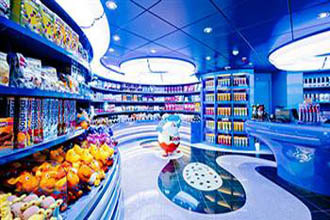 Fabulous midnight snacks are offered nightly and you can satisfy your sweet tooth at the delightful candy shop. 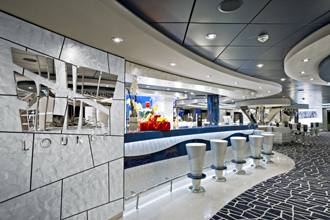 The dining options onboard are endless. Select from a wide range of stunning accommodations, including Royal Suites, Executive Family Suites and Deluxe Suites. Indulge in elegant comfort at the exclusive MSC Yacht Club, a secluded area with its own suites, lounge, a gourmet restaurant, butler service and much more. 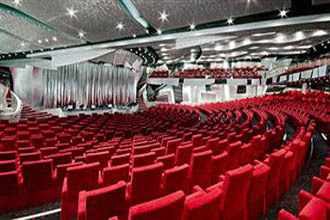 Every evening enjoy an assortment of entertainment, including live music and lavish Broadway-style shows at the two-deck-high theater. 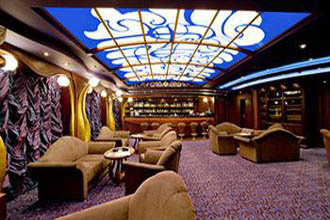 The ship also features a jazz club, disco and a high-tech 4-D Cinema. 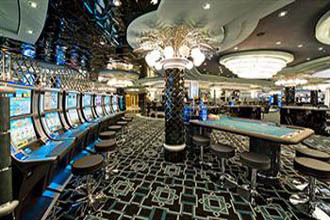 Try your luck at the exciting casino boasting roulette, poker, blackjack, slot machines and more. Relax to the mellow sounds at the jazz bar as you sip on rare whiskies, cognac and more. 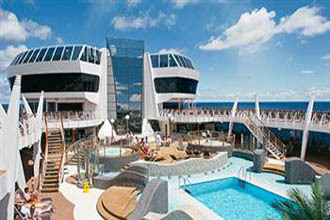 Take the family and enjoy the cruise of a lifetime on the amazing MSC Divina. 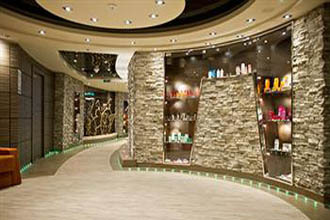 Cruise on the MSC Divina to worldwide destinations. 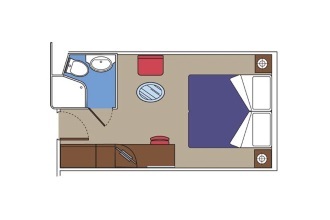 Double bed that can be converted into two single beds (on request). Bathroom with bathtub or shower. Wardrobe. Interactive TV, telephone, wireless internet access (for a fee). Mini bar and safe. Air conditioning. Surface approx. from 150 to 204 sq.ft. 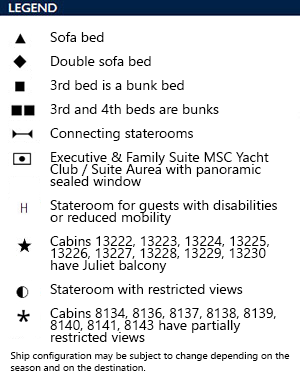 * with balcony The staterooms 8134, 8136, 8137, 8138, 8139, 8140, 8141, 8143 have a partial views. Double bed which can be converted into two single beds (on request). Bathroom with shower. Wardrobe. Interactive TV, telephone, wireless internet access (for a fee). Mini bar and safe. Air conditioning. Surface approx. from 139 to 172 sq.m. Double bed that can be converted into two single beds (on request). Bathroom with bathtub. Ample wardrobe. Interactive TV, telephone, wireless internet access (for a fee). Mini bar and safe. Air conditioning. Surface approx. from 344 to 441 sq.ft. with angle balcony. Double bed that can be converted into two single beds (on request). Bathroom with bathtub. Ample wardrobe. Interactive TV, telephone, wireless internet access (for a fee). Mini bar and safe. Air conditioning. Surface approx. from 300 to 344 sq.ft. * (including a balcony of 64 sq.ft.). 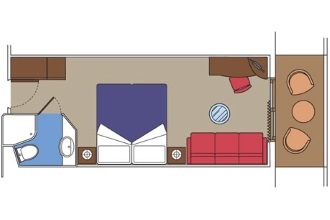 Double bed that can be converted into two single beds (on request). Bathroom with bathtub or shower. Ample Wardrobe. Interactive TV, telephone, wireless internet access (for a fee). Mini bar and safe. Air conditioning. Surface approx. from 430 to 548 sq.ft. with panoramic sealed window. 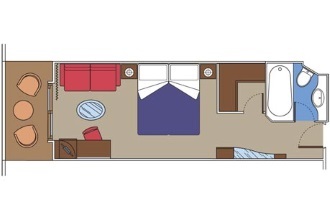 Double bed that can be converted into two single beds (on request). Bathroom with bathtub. Ample Wardrobe. Interactive TV, telephone, wireless internet access (for a fee). Mini bar and safe. Air conditioning. Surface approx. 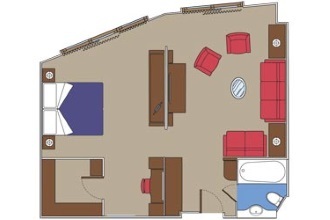 560 sq.ft. 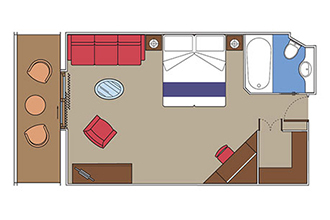 (including a balcony of 172 sq.ft.). 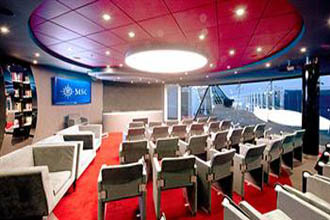 MSC Yacht Club - Restaurant. 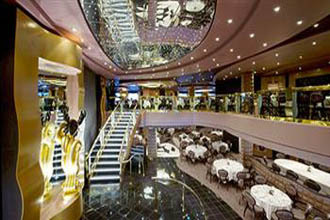 MSC Divina offers 3 main restaurants. Each one boasts a top gastronomic selection thanks to the variety of dishes and the high quality of the foods, from choice Italian meats, scrupulously controlled, to fresh fruit. Every product is fresh and carefully handled, such as bread baked on board with the passion and knowledge of the most distinctive boulangerie. Dishes range from traditional and tasty Mediterranean fare, to the most refined international recipes. Juniors Club for Pirates 7-11 years old. Both clubs is staffed by professional entertainers who leave your children free to explore and socialize under their expert supervision, while also offering a wide range of stimulating and exciting activities: • Arts & Crafts • Group games and activities • Sports • Tech games, including PlayStation, Xbox and Wii • Dance classes and performances. Pool with sliding roof, bar. 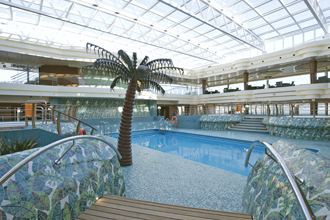 Zen Area - Aft pool. 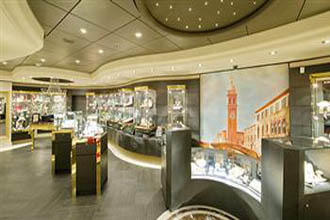 Duty Free Shop (tobaccos, liquors & snacks), Il Gioiello (jewellery & deluxe accessories), L'Angolo Dell'Oggetto (sunglasses, watches & fashion jewellery), La Boutique (fashion boutique), La Profumeria (perfumes & cosmetics), MSC Logo Shop (MSC Logo items & toys), Photo Shop (photoshop and photo gallery). Beauty farm, beauty parlour, fitness centre, bar. 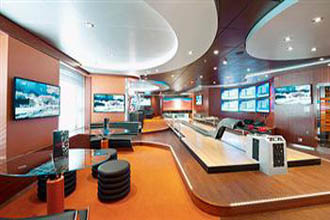 Themed sports snack bar, bowling (50 m2). 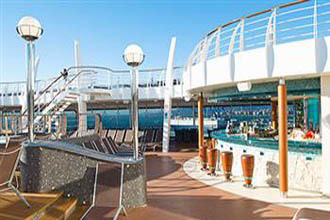 Zen Area - Aft pool bar. Bar, shows, music, dance floor. 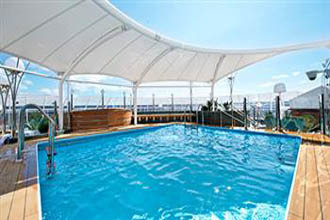 Area for delightful sunbathing and unforgettable relaxing in the whirlpool. Venetian square with live music; pastry and ice cream bar. 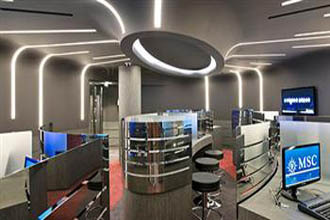 Smokers’ room, bar, whisky bar. Basketball, tennis court, football, volleyball.